Is your organization selling to enterprise-level companies? Or do you typically need to build relationships with multiple stakeholders at the prospective customer’s company in order to close a deal? 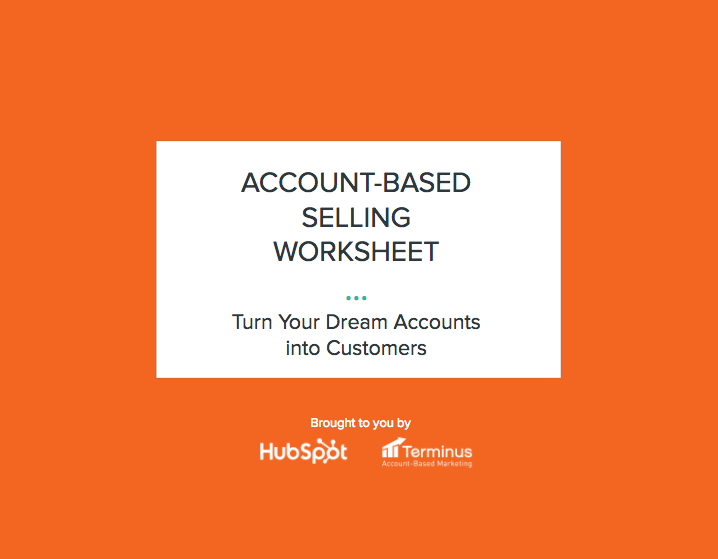 If so, then adding the Account-Based Selling model to your sales playbook will help you turn more dream accounts into delighted customers. Not sure how to get started? 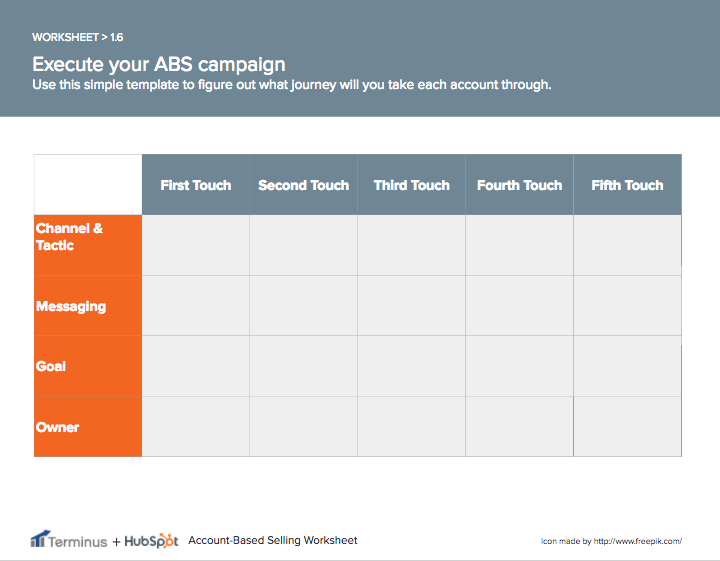 HubSpot and Terminus have teamed up to help. 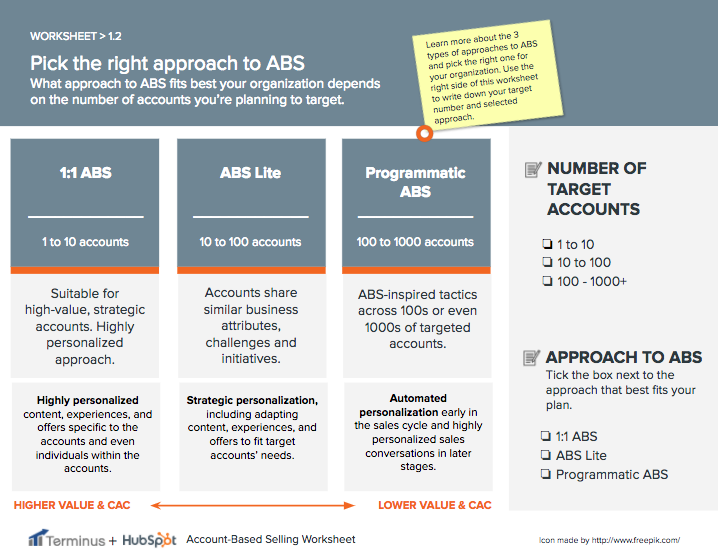 Together they created this worksheet to help you drive more revenue from best-fit accounts using account-based strategies. By supplying your contact information, you authorize HubSpot and Terminus to contact you with more content and/or information about each of its services. You further authorize HubSpot to pass your information to Terminus for these purposes.